Isn’t it annoying to finally find something perfect to wear for the day but eventually disregard it just because of wrinkles? Sure, ironing it will work but the whole process is time-consuming for you still have to get each section right. The perfect solution for this is to use a garment steamer. This type of device quickly removes wrinkles from almost every kind of fabric through steam. As a way to acknowledge the effectiveness of using steam for better-looking clothes, we are going to present the best garment steamer in today’s market based on careful research and product testing. Before anything else, let’s understand first the functions of garment steamers even more for easier browsing of the top products later. 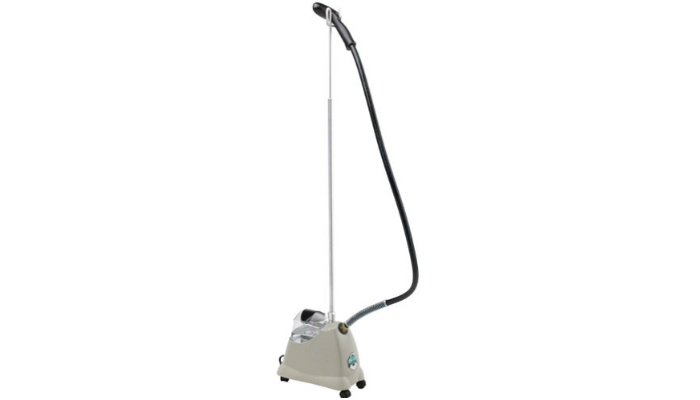 Garment steamers can be marketed as clothes steamers, fabric steamers, and simply steamers. They use steam instead of simple high heat to relax the garment’s fibers. Compared to ironing, they do not forcefully flatten the fabric which may lead to scorching if not done right. So, they are definitely the gentler alternative. They can even be used for delicate fabrics such as silk. 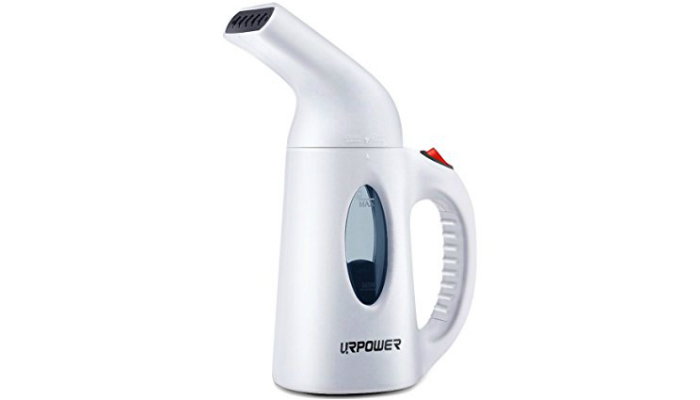 URPOWER 130ml Portable Handheld Fast Heat-up Powerful High Capacity Garment Steamer is not only a great addition to homes; it is also a helpful travel buddy. It comes with a special travel pouch so you can keep your clothes neat even if you are away from home. It is clearly compact for better portability. When it comes to performance, it has a well-designed nozzle that evenly spreads steam in a powerful way to guarantee elimination of wrinkles. For two minutes, it can already emit enough steam to start smoothing out your clothes. During the process, it can last up to 10 minutes. More importantly, it is super-safe to use for it automatically shuts off when it gets extremely hot. Another factor for automatic shut-off is extremely low water level. 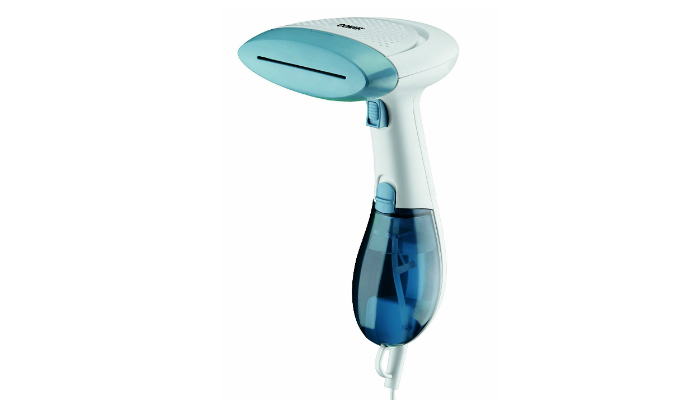 Jiffy 120 Volt Garment Steam Head Steamer is so powerful with its 1,300-watt heating component made of solid brass. Its housing is very durable to withstand impact. 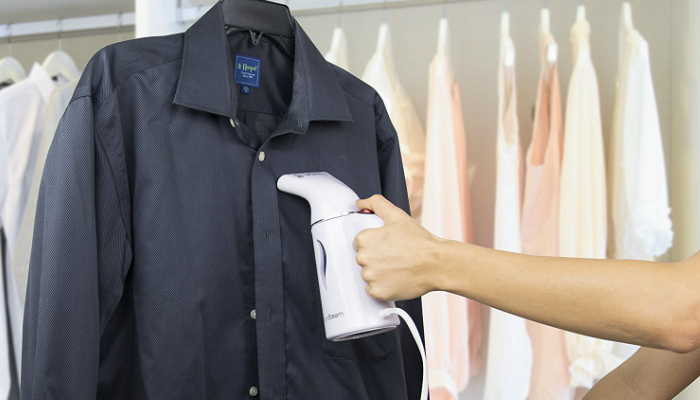 This garment steamer takes it up a notch with its steaming time of up to one hour and 30 minutes after every water refill. It comes with a six-inch steam head attached to a 5.5-foot hose. Rowenta 1550-Watt Master Valet Full Size Roll and Press Support Garment and Fabric Steamer has a vertical component for holding clothes in place. It includes a built-in hanger complete with clips for convenience. It even has a hook so you can place an additional hanger. This garment steamer has its switch at the bottom so you can easily use your foot to activate or deactivate it. Its hose is so flexible that it can follow your every move. Additionally, the big water tank is transparent for easier level monitoring. Even though you have to use the handle during steaming, there is no need to worry for it stays cool during the process. Besides, you do not have to hold it for long, thanks to its big head that emits more steam than usual. Conair ExtremeSteam Hand Held Dual Heat Fabric Steamer uses a special technology that emits 30 percent hotter concentrated steam. Its target quality of steam aims to penetrate thicker fabrics in a fast way. 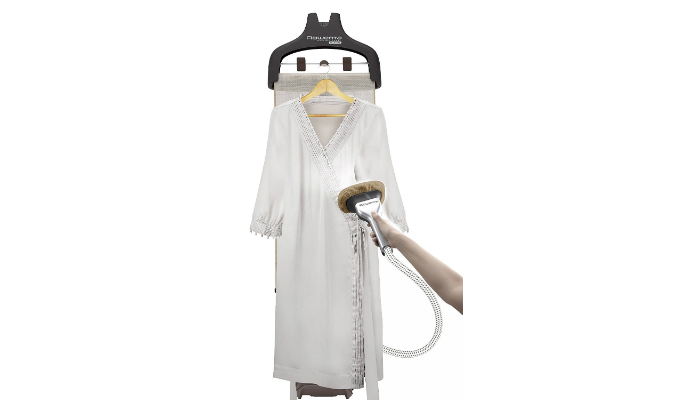 This garment steamer can kill bed bugs and dust mites. It comes with three removable pieces namely the soft cushion brush, creaser, and fabric brush. Its power cord is long enough to let you use any electrical outlet you can find. 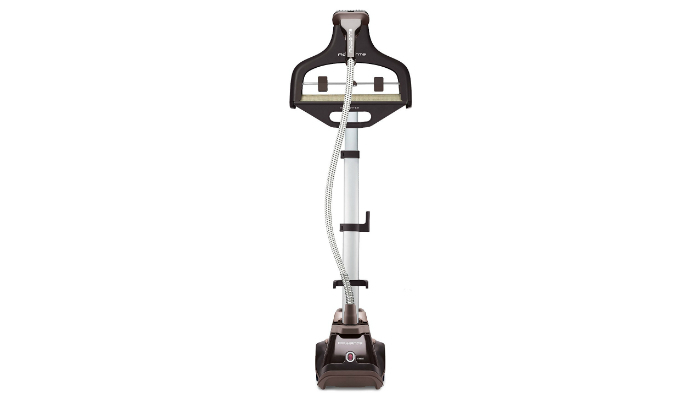 Steamfast SF-407 Fabric Steamer has a removable 40-ounce water tank for refill convenience. It can already heat up in just 45 seconds, way faster than most brands. It does not only remove wrinkles; it can also eliminate odor from clothes, upholstery, curtains, and linens. 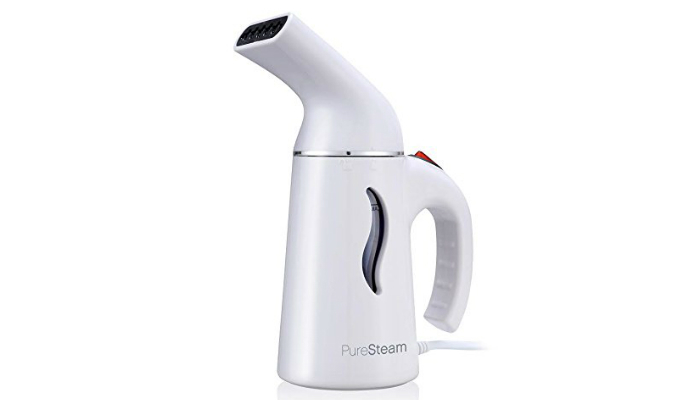 Pure Enrichment PureSteam Portable Powerful Fast-Heating Ergonomic Handheld Design Easy-Fill Tank Garment Steamer is practical to use for massive fabrics since its cord is long enough to steam hanging drapes. It has a user-friendly locking mechanism on top. Even with cold water, it can heat up fast. Its reservoir has a big opening for easier pouring and cleaning. There are certain types of garment steamers due to various needs of buyers. Two of which, handheld and full-sized steamers, are very common yet different from each other. Handheld steamers are practical for people who own mostly delicate, light clothing. However, if you are an all-around homeowner, you should pick a full-sized one. This type of steamer is ideal for heavy, thick fabrics such as drapes and bed sheets. Take note, it needs a removable water tank for ultimate convenience. Additionally, it must have caster wheels for mobility since it can weigh up to 20 pounds. 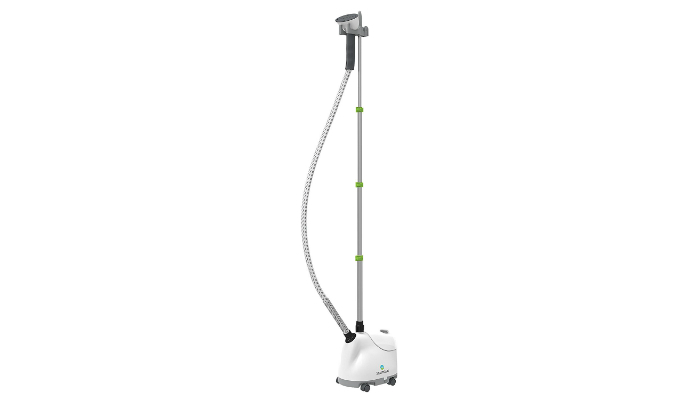 It is essential for a handheld garment steamer to be lightweight because you still have to add water in it. Just imagine the strain on your hands if a heavy steamer is filled with water. If you have certain conditions around your wrists or hands, only choose the lightest steamer you can find. This factor is also essential for travel garment steamers. We do not want unnecessary airline fees, right? 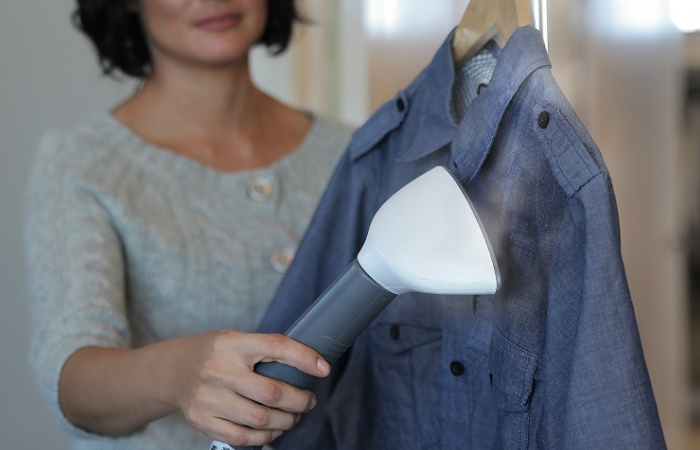 Portable steamers have been useful for a long time now since our clothes tend to get too wrinkly when we pack them in a luggage. As a plus, consider compact form as well so the steamer can fit inside regular suitcases or bags. For a more thorough process, you may look for steamers with built-in racks and hangers as well as free clips. These extra features ensure that you can steam every nook and cranny. However, full-sized steamers are usually the only ones that have these. 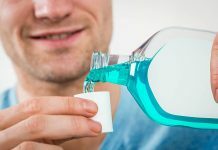 Just because steam is powerful enough to quickly remove wrinkles does not mean that it can eliminate odors and stains as well. Sure, some garment steamers have that feature but you have to choose more carefully when you browse the store. What’s certain is the inability of most steamers to do those additional functions. To guarantee removal of stains and odors, resort to a steam cleaner instead. Meanwhile, we can talk all day about the disadvantages of ironing but it actually has a major purpose. Some fabrics and clothes cannot have that tidy look despite the absence of wrinkles. Only iron can make their sections flat and smooth. To balance out steaming and ironing since both are beneficial with their own drawbacks, choose a steam iron especially for pleated garments. We selected URPOWER 130ml Portable Handheld Fast Heat-up Powerful High Capacity Garment Steamer as the best garment steamer for most buyers. It is great for both home and travel use, well-balanced when it comes to power and consistency, efficient, and completely safe to use. In choosing the best garment steamer based on your own preferences, choose whether you will need the handheld type more or the full-sized one. Then, make sure it is lightweight before proceeding to its list of extra features. Another device that can prove even more the importance of high-temperature gas for cleaning is the steam mop. Find out if it indeed kills bacteria from surfaces. For relevant products, check out our take on the best steam mops for carpets and stone floors. Additionally, learn about the benefits of 2-in-1 steam mops.